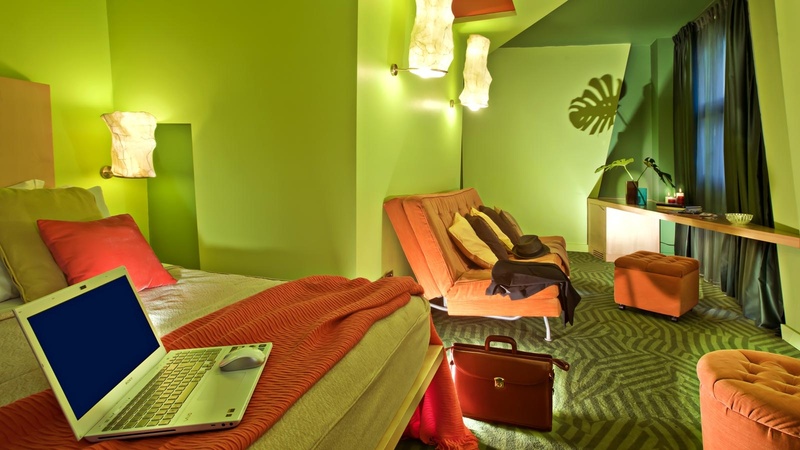 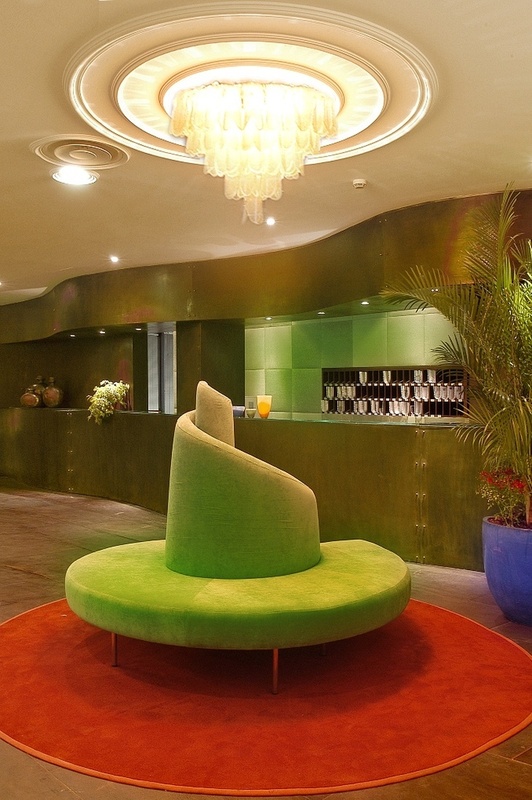 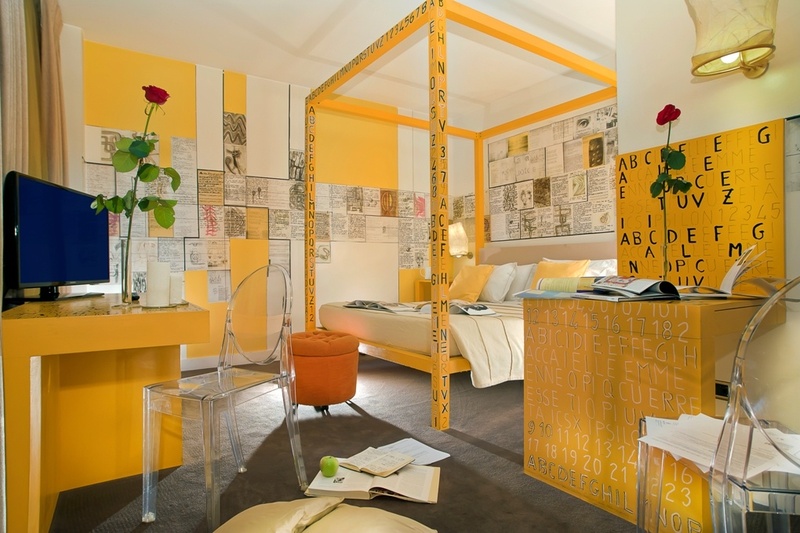 Very stylish art hotel in Rome. Located halfway between the Ostiense and Testaccio neighbourhoods near to traditional restaurants, shops and bars abuzz with clientele. Every lamp, application and decoration is a unique design piece created by a contemporary Roman artist. 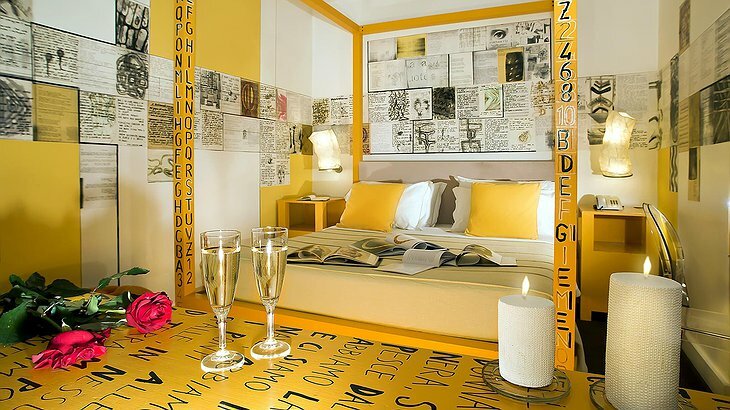 Unique and expressive artworks transform the walls to create a special experience. There are eight themed suites. 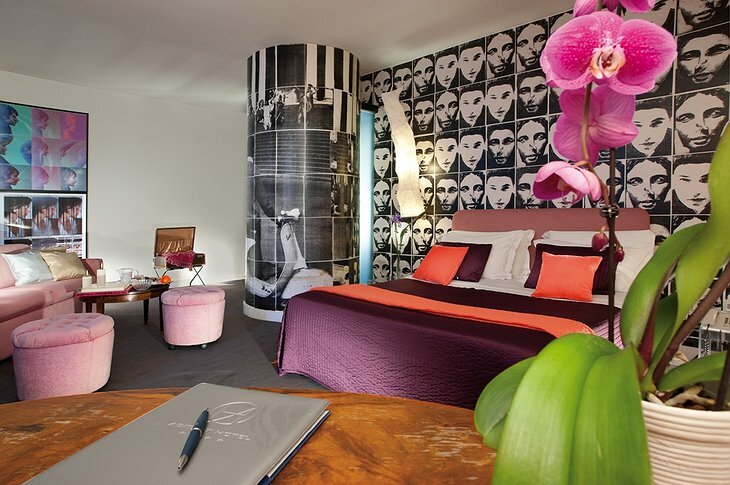 The De-constructed Suite is a mix of angles and contrasts to tingle your creativity; the Pop Art Suite is designed with the all the cheeky exuberance of that movement; or you can go romantic in the Poet’s Suite. The hotel has a bar and restaurant called the Estrobar. 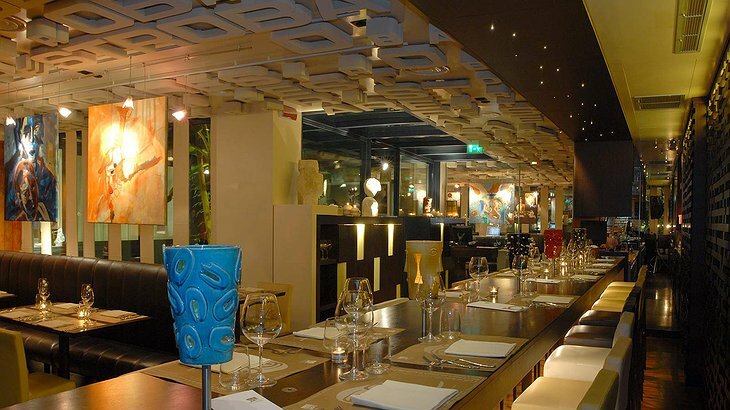 It is an informal and funky venue popular with local people - especially artists. 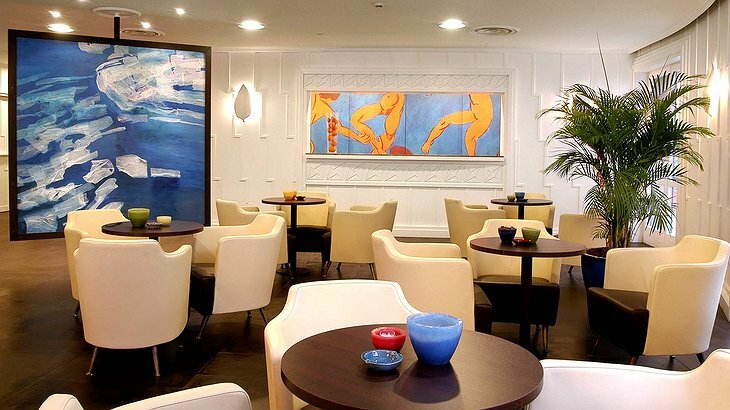 Like the rest of the hotel, Estrobar is decorated with original design pieces and art such as paintings and photographs. 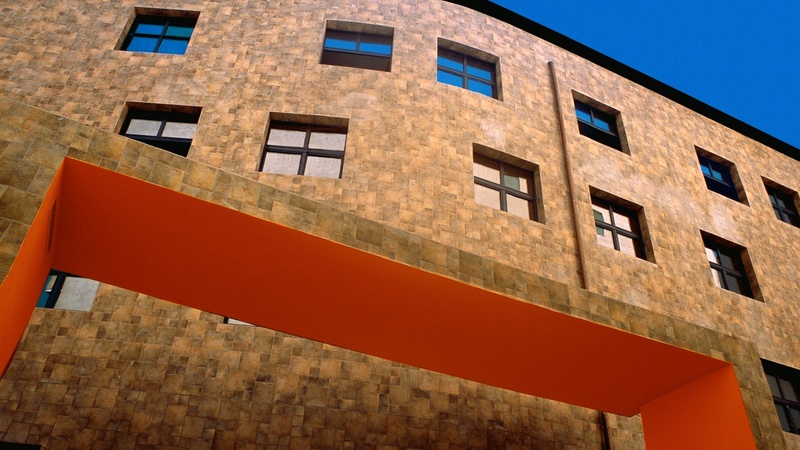 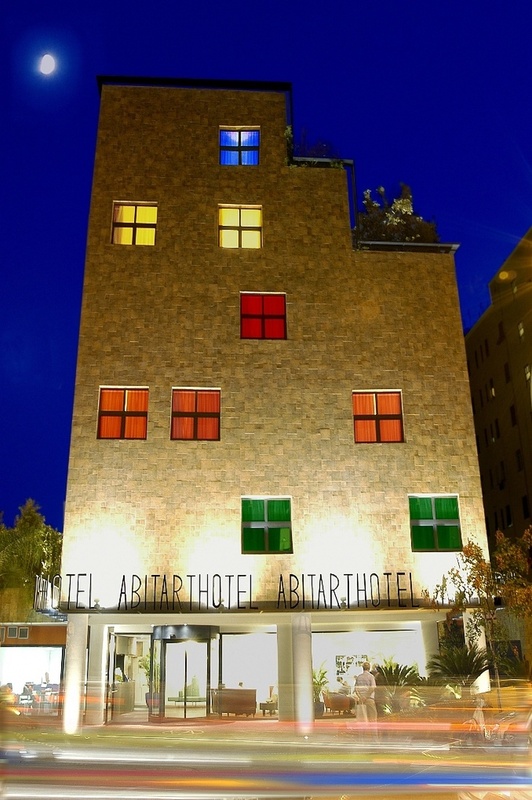 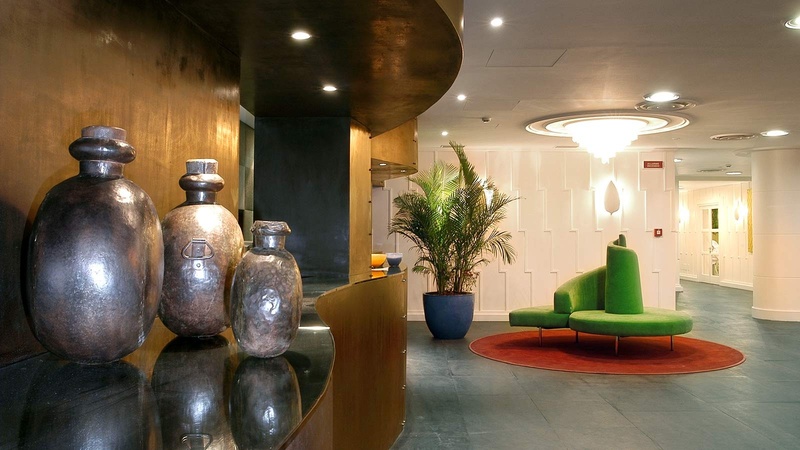 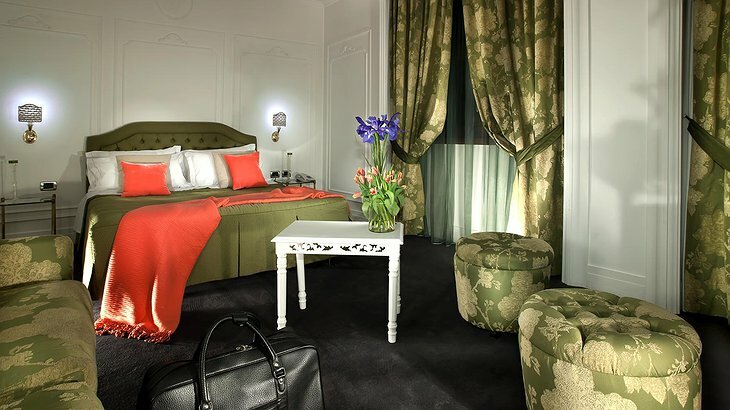 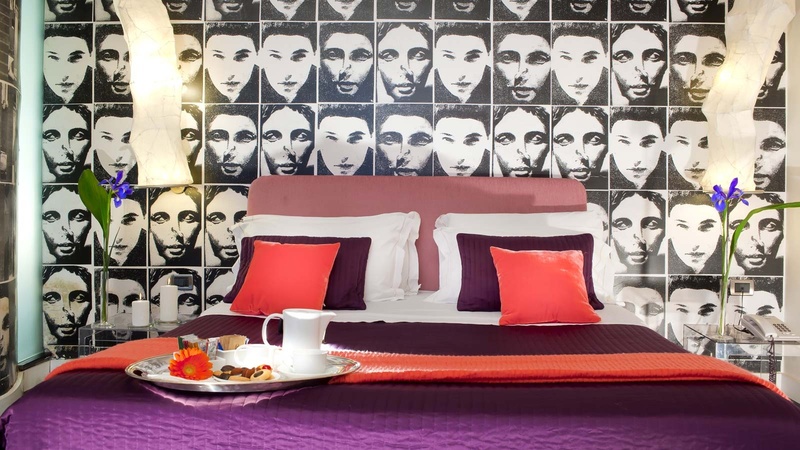 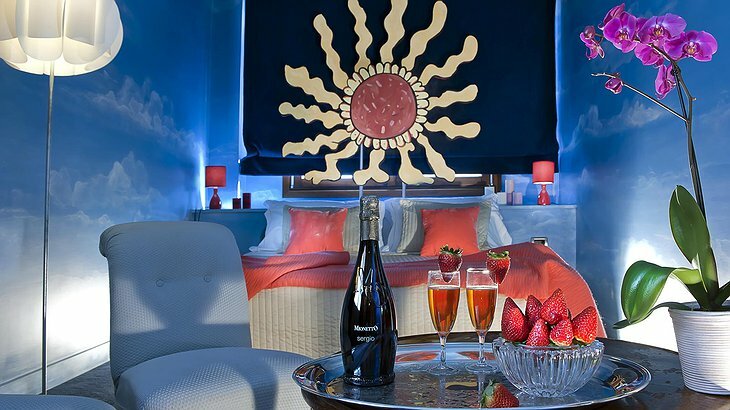 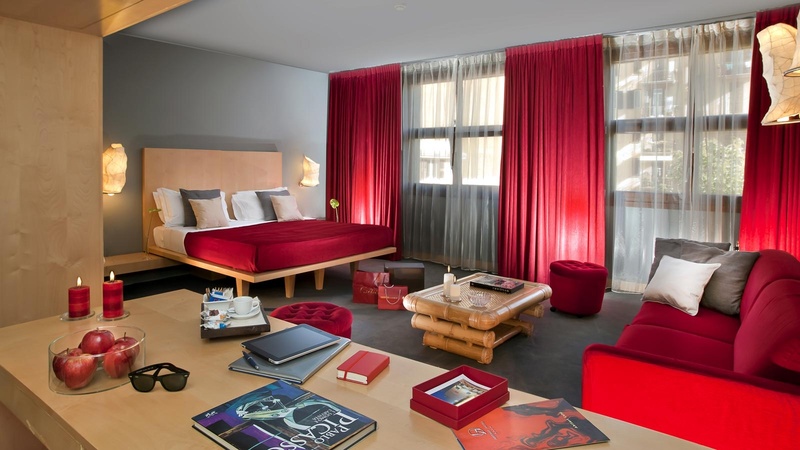 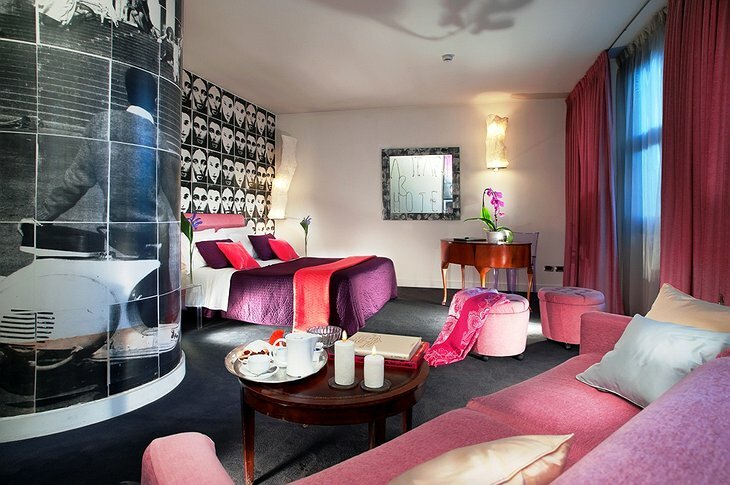 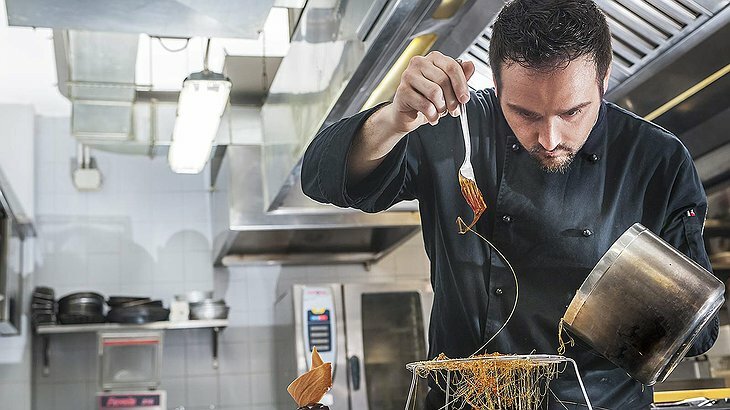 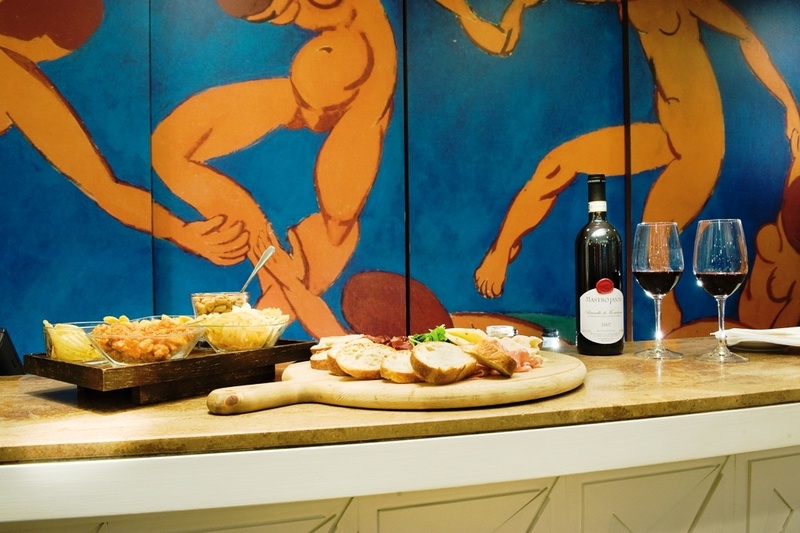 Abitart Hotel is the place to get inspired in Rome.